The optimal sequence of treatments for patients with metastatic castration-resistant prostate cancer (mCRPC) is still unclear, especially after a retrospective study assessed the real-world outcomes in patients with mCRPC receiving second-line chemotherapy versus alternative androgen receptor (AR)–targeted agents after a lack of response to frontline AR-targeted therapies. Using Altos electronic medical records, 345 patients with mCRPC who did not respond to first-line AR-targeted agents and either second-line chemotherapy or AR-targeted agents were studied. Outcomes were evaluated from the start of second-line treatment. Patients who received second-line chemotherapy versus AR-targeted agents had a median age of 74 versus 79, respectively, as well as a worse prognosis with a higher prostate-specific antigen (PSA) of 439 versus 231, respectively. Additionally, patients in the chemotherapy arm had a PSA response (adjusted odds ratio, 2.27; P = .005), and there was a non-statistically significant trend towards improved overall survival (OS) for second-line chemotherapy versus an AR-targeted agent. The findings suggest that treatment with second-line chemotherapy versus second-line AR-targeted agents may be beneficial for patients who previously had little to no response to frontline AR-targeted agents. 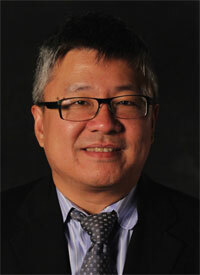 “It suggests that not only should those patients not receive a second AR-targeted therapy if they didn't respond particularly well to the first, but that they may have a survival benefit if they receive chemotherapy instead,” explained lead study author William K. Oh, MD. In an interview with OncLive during the 2017 Genitourinary Cancers Symposium, Oh, who is chief of the Division of Hematology and Medical Oncology, and professor of Medicine and Urology at Mount Sinai School of Medicine, discussed the continued use of chemotherapy in patients with mCRPC. OncLive: Can you provide an overview of the study and the rationale for it? Oh: One of the issues about the sequence of new therapies for CRPC is that we don’t know if or when the patient should receive chemotherapy in relation to AR-targeted therapies—or, when they should receive radium-223 dichloride (Xofigo) and other treatments. We were interested in looking at this question by using real-world data from a large electronic medical records system. Here, we looked at 4000 men who had received chemotherapy or AR-targeted therapy for prostate cancer. What we were really interested in was second-line therapy. These were patients who had received first-line AR-targeted therapy and had a very short duration of response. They were primarily resistant to AR-targeted therapy and we looked at the outcomes based on whether they received second-line chemotherapy or a second AR-targeted agent. What do the results of this study mean for patients with prostate cancer who have a poor prognosis? What we found in our study was that patients who had received chemotherapy after first-line AR-targeted therapy seemed to do better. These were patients who were intrinsically sicker, younger, had worse prognostic factors, their hemoglobin levels were lower, and their lactate dehydrogenase (LDH) levels and alkaline phosphates were higher. These were patients for whom the treating oncologist thought needed more aggressive treatment and they received chemotherapy. The other group of patients who received second AR-targeted therapy were generally a little older and had better prognostic features. Despite this, when adjusting for those prognostic features, patients who received chemotherapy seemed to have a trend toward improved survival. When we looked at a subset analysis of specific features—like those patients who had the lowest hemoglobin levels or had the highest LDH levels—those patients seemed to have a more profound statistically significant survival benefit if they received chemotherapy. As clinicians, we understand that the sickest patients with the most systemic types of progressive cancers will not respond to a second AR-targeted agent. We now have enough experience to understand this, but the poster in this study addressed it directly. It suggests that not only should those patients not receive a second AR-targeted therapy if they didn't respond particularly well to the first, but that they may have a survival benefit if they receive chemotherapy instead. Do you believe that the role of chemotherapy is decreasing? Will it be replaced by immunotherapy? People have written off chemotherapy. I remember being in a podium session a few years ago when abiraterone acetate (Zytiga) and enzalutamide (Xtandi) were all approved and people were predicting the demise of chemotherapy. In my opinion, that was premature. In fact, chemotherapy has had a second life both in metastatic hormone-sensitive prostate cancer—because of studies such as CHAARTED and STAMPEDE—and in metastatic CRPC. Chemotherapy continues to have an important role and that's because we know that patients will eventually progress on AR-targeted therapy and after radium-223. One of the key questions is, “Are there patients who should be receiving chemotherapy early in their course, not only to have an improved outcome in terms of quality of life, but also survival?” Our poster seems to suggest that there is a subset of patients, particularly those who do not respond to primary AR-targeted therapy, who would be very good candidates for chemotherapy rather than a second AR-targeted therapy. Are there any next steps or future trials based on the findings that we got? Unfortunately, this is a hard question to answer prospectively, partly because the randomization that would have occurred was attempted in a large clinical trial—which didn't accrue. I don't know why it did not accrue; it might have been too late for a study to really randomize patients to a second AR-targeted therapy versus chemotherapy. However, there is resistance in the community to using chemotherapy in some patients—possibly from the patients themselves—but we would like this retrospective data validated in larger, other additional data sets. We could get more information about supporting the idea that there's a subset of patients who should receive chemotherapy with mCRPC. What do you hope that your peers take away from this study? It's important for a clinical oncologist in the community to not rule out chemotherapy for their patients. We know that it has a profound role in hormone-sensitive disease but, in CRPC, the continued use of chemotherapy—particularly in patients who are not getting good response to AR-targeted therapy—should play an important role. That doesn't mean that you shouldn’t use treatments, such as radium-223 or first-line AR-targeted therapies, but we still don’t know who should receive which drug first. However, in the second-line setting, there is growing evidence that chemotherapy may play an important role. Oh WK, Cheng WY, Miao R, et al. Real-world outcomes in patients with metastatic castration-resistant prostate cancer receiving second-line chemotherapy vs alternative androgen receptor-target agents after lack of response to first-line ARTA in US community oncology practices. J Clin Oncol. 2017;35 (suppl 6S; abstr 214).